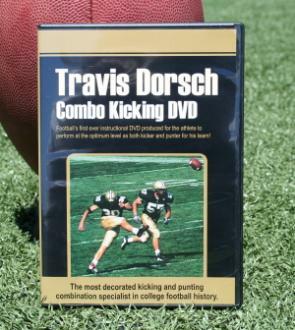 In this instructional program Travis Dorsch will be your personal coach. He will share the secrets that made him the most prolific kicking and punting combination specialist in college football history! Through actual demonstration he will teach step-by-step the sound fundamental techniques of both positions that he developed along with innovative practice drills that enabled him to perform for his team at a record setting pace!